Volkswagen Group, Mobileye and Champion Motors have announced plans to commercialize Mobility-as-a-Service (MaaS) with self-driving vehicles in Israel. 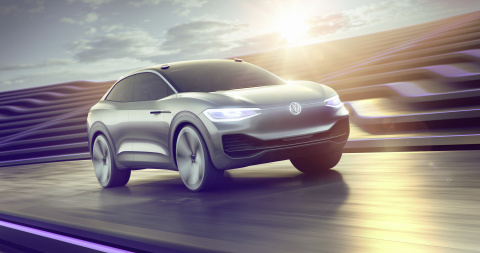 Volkswagen Group will provide the electric vehicles (EVs) as well as its in-depth knowledge about the design and deployment of mobility services. Mobileye, an Intel Company, will provide a full turn-key hardware and software self-driving system validated for level-4, driverless capability. Champion Motors will be responsible for fleet logistics and infrastructure of the MaaS deployment and scaling. The Israeli government supports the project proposal of the three partner companies. Development will begin in early 2019 and roll out in phases reaching full commercialization in 2022. TEL AVIV, Israel--(BUSINESS WIRE)--The Volkswagen Group, Mobileye, an Intel Company, and Champion Motors announced plans to deploy Israel’s first self-driving ride hailing service – or Mobility-as-a-Service (MaaS) – starting next year. For this, the partners are planning to establish a joint venture. The planned cooperation is subject to approval by the responsible authorities and bodies. Operating as “New Mobility in Israel,” the group’s proposal was formally accepted by the Israeli government during a private ceremony today at the Smart Mobility Summit in Tel Aviv. Based in Wolfsburg, Germany, the Volkswagen Group is one of the world's leading carmakers and the largest car manufacturer in Europe. Twelve brands from seven European countries belong to the Group: Volkswagen Passenger Cars, Audi, SEAT, ŠKODA, Bentley, Bugatti, Lamborghini, Porsche, Ducati, Volkswagen Commercial Vehicles, Scania and MAN. The Group operates 120 production facilities in 20 European countries and in 11 countries in America, Asia and Africa. More than 610,000 employees around the globe produce almost 42,000 vehicles every working day, are involved in vehicle-related services or work in other business areas. The Volkswagen Group sells its vehicles in 153 countries. With its future program TOGETHER – Strategy 2025, the Volkswagen Group has paved the way for the biggest change process in its history: its restructuring to become one of the world's leading providers of sustainable mobility. 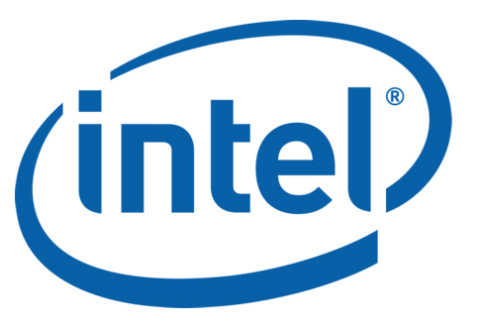 Mobileye, an Intel Company, is the global leader in the development of computer vision and machine learning, data analysis, localization and mapping for advanced driver assistance systems and autonomous driving. Our technology keeps passengers safer on the roads, reduces the risks of traffic accidents, saves lives and has the potential to revolutionize the driving experience by enabling autonomous driving. Our proprietary software algorithms and EyeQ® chips perform detailed interpretations of the visual field in order to anticipate possible collisions with other vehicles, pedestrians, cyclists, animals, debris and other obstacles. Mobileye’s products are also able to detect roadway markings such as lanes, road boundaries, barriers and similar items; identify and read traffic signs, directional signs and traffic lights; create a RoadBook™ of localized drivable paths and visual landmarks using REM™; and provide mapping for autonomous driving. Our products are or will be integrated into car models from more than 25 global automakers. Our products are also available in the aftermarket. Champion Motors, a fully owned company by Allied Group, has been successfully representing the Volkswagen Group in Israel since 1965 as the direct importer and distributor of Volkswagen, Audi, ŠKODA, SEAT and Volkswagen commercial vehicles. Champion Motors holds a key position in the Israeli market as the second-largest car importer and distributor with an active role in the automotive and smart mobility ecosystem. It provides both funding to start-ups as well as business opportunities through joint ventures with the VW Group such as ŠKODA AUTO DigiLab Israel, XPLORA by SEAT and now New Mobility in Israel. Intel's Mobileye, the Volkswagen Group and Champion Motors announced plans to deploy Israel’s first self-driving ride hailing service in 2019.